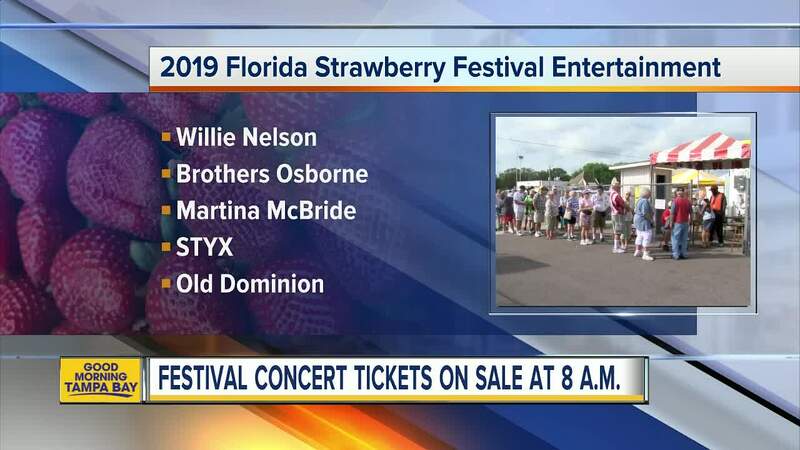 Tickets for the headline entertainment at the 2019 Florida Strawberry Festival go on sale on Thursday. 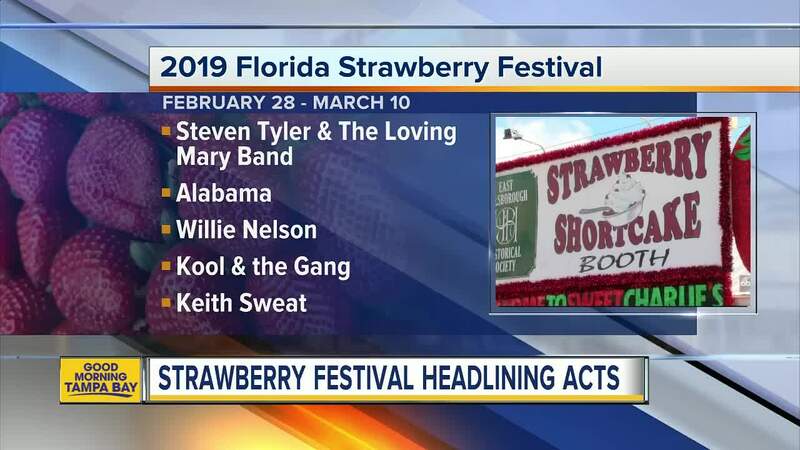 PLANT CITY, Fla. — Tickets for the headline entertainment at the 2019 Florida Strawberry Festival are on sale now. Tickets went on sale Thursday morning at 8 a.m. In October, the Festival released the lineup of entertainers who will perform on the Wish Farms Soundstage in March 2019. Advance tickets for admission and for headline entertainment shows can be purchased online , at the Amscot Main Ticket Office located at 2209 W. Oak Avenue in Plant City and over the phone at 813-754-1996. For more information about ADA accessible seating or tour group sales, call 813-719-6680. 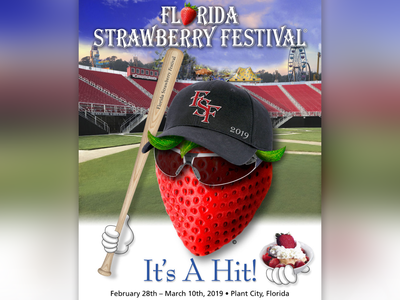 To learn more about the 2019 Florida Strawberry Festival, visit flstrawberryfestival.com .